10 Bits for an Endless Array of Classic Profiles. 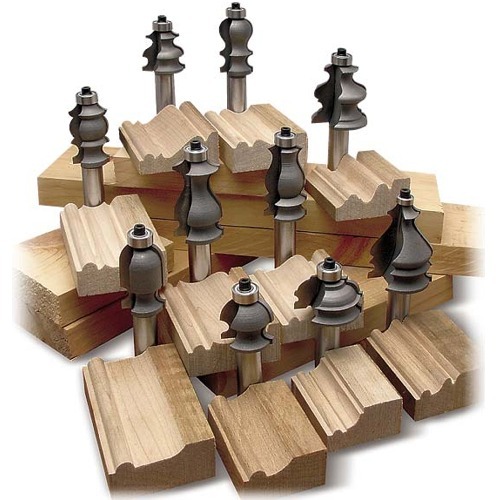 Boxed Set from MLCS features 2-flute, 1/2" shank carbide-tipped router bits with enclosed ball bearing guides. 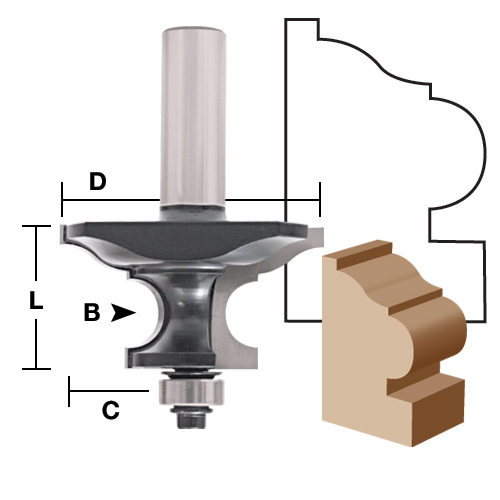 Copied from popular antique molding planes, these bits make architectural millwork, moldings, baseboards, chair rails, and picture frames. Combine two or more bits to achieve unlimited unique profiles. All TEN Bits are 1/2" Shank with Anti-Kickback Design in a Wood Storage Box.